A shell is the last (outer) layer of a layered clothing system and is thus worn over a base layer and a mid-layer. In warm weather a shell can also be worn directly over a base layer as insulation, normally provided by a mid-layer, is not required. The term “shell” is sometimes confusing to those who are new to hiking as it can apply to various garments such as rain jackets, softshell jackets and some insulated jackets. A shell is basically any garment that provides protection against wind/rain and is used as the outer layer. It is important to note that a shell layer is normally worn only in windy and/or rainy weather as it to some extent reduces the breathability of a clothing system; the shell layer is always the least breathable part of a layered clothing system. It has to be made of waterproof or water-resistant fabric and when it comes to fabrics with such qualities, there is always a tradeoff between water-resistance and breathability. For information about base layers and mid-layers you can also check our articles Comparison of Base Layer Materials and Comparison of Mid-layer Materials. It is vital to stay dry during hiking trips (especially in cold conditions) in order to prevent the body from losing heat. If your clothes get soaked with water, your body heat is transmitted rapidly to them (in a process called conduction) as the thermal conductivity of water is much higher than the thermal conductivity of air, meaning that it transfers heat faster. This results in a rapid cooling of the body, which is unpleasant at least but can be dangerous in cold conditions. Therefore, the shell layer has to block out water/rain but at the same time be sufficiently breathable for the layers worn under to stay dry rather than getting damp with trapped perspiration from your body. For shell layers to be water-resistant, they have to be made of fabrics which are coated, laminated or DWR-treated (Durable Water Repellent). Fabrics that are only DWR-treated are mainly used for softshell jackets and merely offer basic protection against rain (they repel the water rather than absorbing it) and are thus not suitable for long trips in rainy conditions. Coated and laminated fabrics which are used for proper rain jackets, reversely, offer much better protection against rain but are also less breathable. The level of protection that a fabric can provide against rain is measured in a hydrostatic head test. The hydrostatic head is determined by putting a fabric over the bottom end of the universal tube and the pouring the water in the tube until the fabric leaks. For example a hydrostatic head of 20.000 mm means that the column of water was 20 meters high before the fabric leaked. Clothing keeps you warm by entrapping body-warmed air between its fibers. Wind strongly interferes with this process and thus increases the loss of body heat. Therefore, it’s important that a shell layer blocks the wind out before it can reach the layers worn underneath it. Some mid-layers offer basic protection against wind, but very windy conditions require a more efficient solution – and it can only be provided by a shell layer. Moisture that originates from the body (perspiration) has to be able to evaporate to the outside so that your clothing doesn’t get wet and causes conductive heat loss. For the moisture to be able to escape to the outside, your clothing layers (including the shell layer) have to offer breathability. That way, the moist and warm air inside is eventually transferred to the outside due to its attraction to colder and drier air outside (remember that nature seeks equilibrium). The breathability of a fabric is measured by the moisture vapor transmission rate (MVTR) and tells us how many grams of water vapor can permeate through the fabric (from the inside to the outside) in grams per square meter per day. 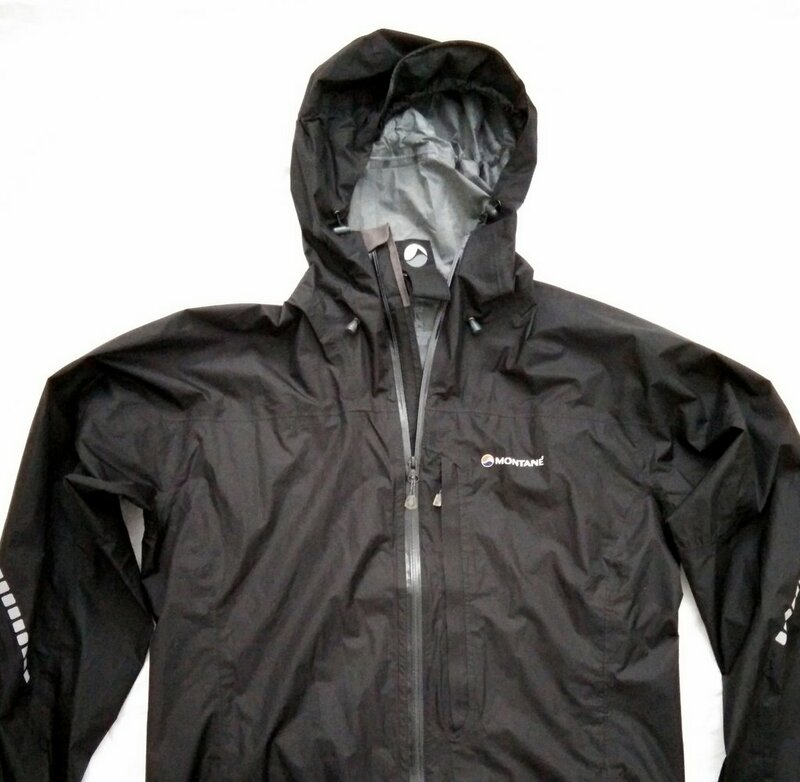 High-performance waterproof/breathable fabrics can have a MVTR over 20000g/m2/24h. Hard Shells, which are waterproof/breathable shells (you can check out our selections of the Best Hiking Rain Jackets). Soft Shells, which are water-resistant shells (you can have a look at our list of The Best Softshell Jackets). Insulated Shells, which are insulated garments that use either Hard Shell or Soft Shell technology for weather protection. Below are the basic characteristics of each of shell materials (types). Please note that some of these characteristics greatly depend on the actual garment and its fabric. Hard shells are made of so-called waterproof/breathable fabrics. However, it’s important to note that there is no such thing as a completely waterproof fabric that is also perfectly breathable; there is always a trade-off between water-resistance and breathability. Nevertheless, some novel fabrics offer great breathability while also maintaining a good level of water-resistance. Waterproof/breathable fabrics are very thin (without any insulation) and, as the name suggests, somewhat stiff. As a hard shell doesn’t provide any insulation, it’s important to use a well-performing mid-layer under it in cold weather. The absence of insulation, however, also brings some advantages; the garment is very light, dries very fast and packs very small. While it is true that wearing a water-resistant hard shell will reduce the breathability of a layered clothing system, you will only have to endure this whenever there is rain or heavy wind as the shell is only worn in such conditions and not for general insulation. Due to that, hard shells are perfect for multi-day trips where it’s important that you use lightweight and well-packable gear that can be dried overnight. The most important properties of a shell layer are water-resistance and breathability, which is achieved by the fabric using either a membrane or a coating. 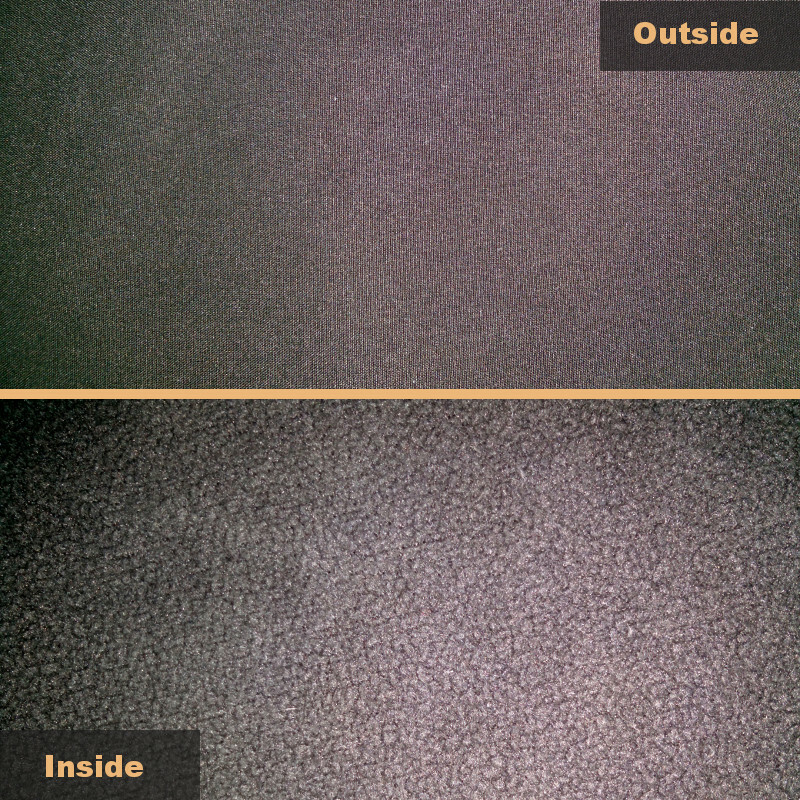 ePTFE membranes have a hydrophobic surface that has a lot of micro pores so that the moisture vapor can escape to the outside. However, the membrane does not allow liquid water to pass from the outside to the inside unless enormous pressure is applied. These membranes were developed in late sixties by Gore-Tex and eventually replaced with ePTFE + PU membranes. They had to be replaced as the chemical compounds such as oil after a period of use degraded the hydrophobic nature of the membrane and thus the membrane’s performance also decreased. A polyurethane film is added to the inner side of ePTFE membrane so that the membrane is protected against the chemical compounds. The polyurethane film is modified to be hydrophilic and thus it absorbs the moisture coming from the inside. Then the moisture is transported by solid state diffusion outwards. In comparison to the ePTFE membranes, these membranes have decreased breathability. Most current Gore-Tex fabrics use ePTFE +PU membranes. In this case an ePTFE membrane is engineered to be oleophobic and thus it doesn’t require a polyurethane film to be protected against the chemical compounds. Therefore, moisture moves much faster through the micropores to the outside and the fabric offers superior breathability. eVent fabrics use this type of membranes. A thin layer of nonporous polyurethane is added to the face fabric through which moisture passes via solid state diffusion. Fabrics that use PU-only membranes are usually less stiff than fabrics that use other membranes. However, ePTFE+PU and oleophobic ePTFE membranes normally offer better breathability (as PU film can be much thinner when bonded to the ePTFE) and weather protection. Nevertheless, PU-only membranes are significantly less expensive than the above listed ePTFE membranes. They are often used in waterproof/breathable pants where slightly lower breathability is acceptable. Pertex Shield+ fabric uses this type of a membrane. Coatings differ from membranes by being painted to the interior of a garment – polyurethane is spread on the interior of fabric like butter is spread onto bread. As it is quite difficult to paint the polyurethane onto the fabric in a thin even layer, the polyurethane layer becomes relatively thick and thus garments that use coatings are not as breathable as those that use membranes. In some cases, the polyurethane layer is made porous in the process of application by using an agent that creates tiny pores in it. Otherwise, the moisture is transported to the outside via solid state diffusion. Coated fabrics are less expensive than laminated fabrics as the film formation and bonding are conducted in only one process. Popular waterproof/breathable coated materials are Pertex Shield and Marmot’s NanoPro. Membranes/laminates normally offer better waterproof performance, breathability and durability. Coatings, on the other hand, are significantly less expensive. Waterproof/breathable fabrics come in three different constructions; 2-layer, 2.5-layer and 3-layer. The fabric consists of an outer layer with a coating or a membrane on the inside and in some cases a loose liner might be added to the inside of the garment for additional comfort. 2-layer fabrics are normally the heaviest and thus best for travelling and everyday activities. The fabric consists of a face fabric with a coating or a membrane and a non-fabric material on the inside (such as a protective film). 2.5-layer fabrics are normally the lightest and thus best for lightweight hiking and mountaineering. The fabric consists of a face fabric, a membrane (no coatings are used for this kind of fabrics) and a liner. 3-layer fabrics are normally the most durable, but also expensive and thus best for alpine climbing, expeditions and other activities where durability is a priority. The water-resistance of a fabric is normally enhanced with a coating of fluorocarbon-based durable water repellent (DWR), which bonds to the fabric’s exterior. Fabrics treated with DWR repel the water rather than absorbing it. The DWR treatment does not decrease the breathability of the fabric. It does, however, eventually wash off and therefore it’s vital to reapply it from time to time. Reapplying DWR to a garment is fairly easy – DWR sprays are sold by companies such as Nikwax and Granger’s. We recommend hard shells for hiking in heavy rain, lightweight hiking and long hiking trips where it’s essential to use lightweight and quick-drying clothing. As hard shells greatly vary in price, we recommend that you buy a hard shell that is suitable for your specific needs rather than checking all boxes (and adding zeroes to the price) – if you for example don’t need superb durability (which is needed for alpine climbing and similar abrasive activities), you also don’t need an expensive 3-layer hard shell. However, we do recommend that you stick to laminates as coatings are rarely breathable enough for aerobic activities (hiking, mountaineering, etc.). Soft shells emerged in the early 2000s as an alternative to hard shells which have downsides such as poor breathability and being very stiff due to the fabric they use. Soft shells combine insulation and weather protection and thus you can imagine them as hybrids between fleece mid-layers and hard shells. They consist of two components; a polyester fleece which is bonded to a woven face fabric or to a wind-blocking membrane. The main advantages of soft shells in comparison to hard shells are the increased comfort (stretchy fabric, fleece on the inside etc.) and breathability. However, they do not provide the same water-resistance as hard shells; soft shells can withstand light rain only for shorter periods of time. Furthermore, they are relatively heavy and thus dry fairly slow which make them unsuitable for long trips where you might need to dry your clothes overnight. Soft shells are designed to be worn directly over a base layer but many hikers prefer to wear them over a thin polyester fleece mid-layer. In this type of soft shells, the polyester fleece is bonded directly to a woven face fabric which is treated with DWR in order to repel the water rather than absorbing it. 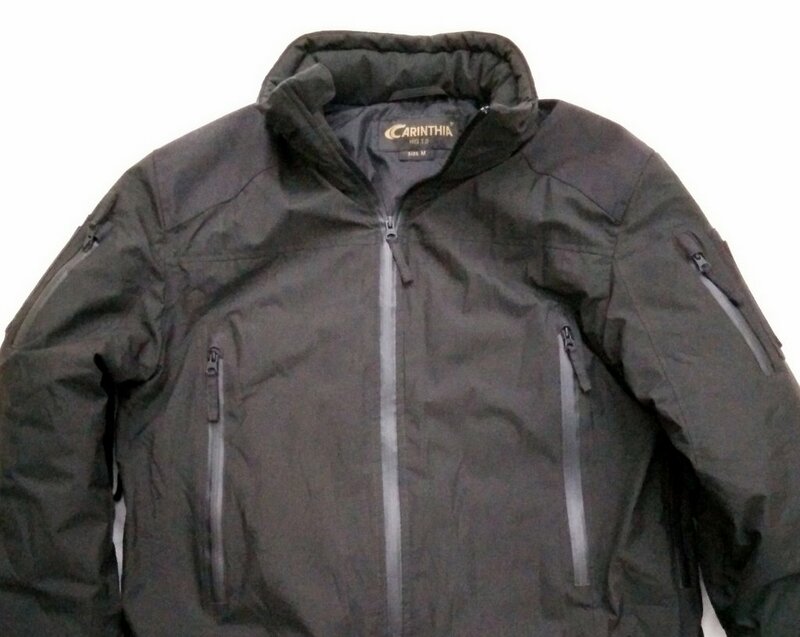 In such soft shells, the polyester fleece is bonded to a wind-blocking membrane which is protected by a face fabric. Wind-blocking membranes differ from the water-resistant membranes employed in hard shells by having bigger micropores. Therefore, they provide better breathability while still efficiently blocking even the strongest wind. The bigger size of pores, however, also entail that they leak much faster when exposed to water. Popular fabrics that use wind-blocking membranes are Polartec Windblock (used in the Patagonia Adze jacket for example) and Gore Windstopper (used in the Arcteryx Trino jacket for example). We recommend soft shells for day hikes in windy conditions with the possibility of rain as well as for hiking in snowy conditions. We do not recommend soft shells for long trips as they are heavier and dry slower than hard shells. Insulated shells combine hard shell (waterproof /breathable membrane or coating) or soft shell (wind-blocking membrane) materials with synthetic or down insulation. Wind-blocking membranes (soft shell technology) are widely used for insulated outerwear – especially Gore Windstopper fabric is often used to form the outer layer of insulated clothing. 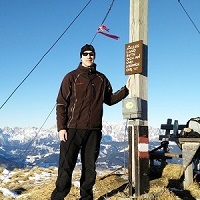 Some examples of insulated jackets that use this technology are the Outdoor Research Havoc jacket, Mountain Equipment Bastion jacket and Carinthia HIG 3.0 jacket. 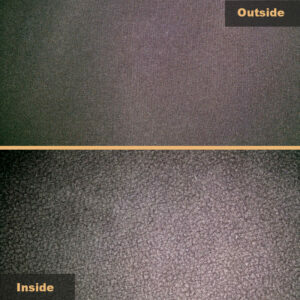 Waterproof/breathable membranes (hard shell technology) are less common in insulated outerwear. However, there are examples; Montane recently launched the Montane Hybrid Minimus jacket which uses a Pertex Shield+ fabric (PU-only membrane) together with PrimaLoft Silver ECO insulation while Rab offers the Inferno Shield Hoodie that uses Pyrotec Insulation together with a Pertex Shield outer fabric. For more information about insulation (synthetic and down) please check our Comparison of Mid-Layer Materials. We recommend insulated shells for activities where superb insulation as well as weather protection is required such as expeditions in snowy conditions where the weather conditions vary greatly.